Anatomica has just started a new phase inher musical career. Her djing expertise and her passion for sound or different music styles, have set the base of her following productions and enriched her musical proposal, leading her to an undoubtedly charisma in her performances. In 2011, she realesed her first Ep in Ioan Gamboa's Label, Madberlin, giving that the feminine touch to the roster and placing herself as an important piece of the label image. A five tracks Ep of melodic techno that became a huge step in her professional development. Furthermore, her style was requested to remix some reconigsed artist in the electronic music scene such as Ioan Gamboa, Dave Seaman, Metaform, Ignacio Tardeu, Lucio Cnk. 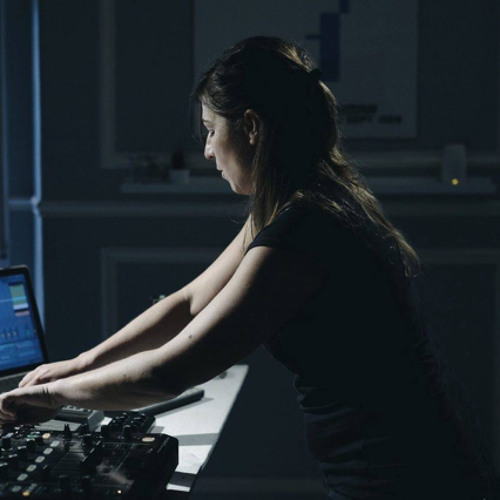 Her constant workn and productions gave her the path to her first Live Set presentation in Madrid with a huge success, where techno, melodic landscapes and her clear influence, Ibiza, earn her the respect of the most demanding aundience, as well as her regular presence in the Electronic Colors parties in the city. 2014 is her year to start a new project. A new personal introducction, way more elegant, mature, with some melancholic emotions, where we could not only find the finest sound mixed wiht bombs for the dancefloor, but also huge drops of pure feeling Anatomica for the use and the pleasure of his loyal supporters.